Under-stated grandeur is the feeling you’ll get as you walk into Les Deux Tours; vaulted ceilings, arcades, terraces, hidden alcoves, colored tiles and adobe walls, it’s opulent yet serene. Stay in one of the 37 rooms or suites, each a seamless combination of traditional architecture with contemporary touches. 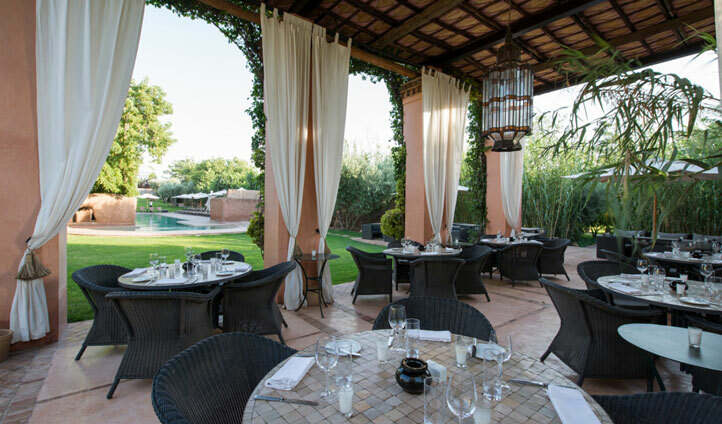 An oasis of calm close to bustling Marrakesh, this is the perfect place to unwind amidst the balmy palm groves or in the Spa Les Bains des Deux Tours, just a stone’s throw from the historical city center. 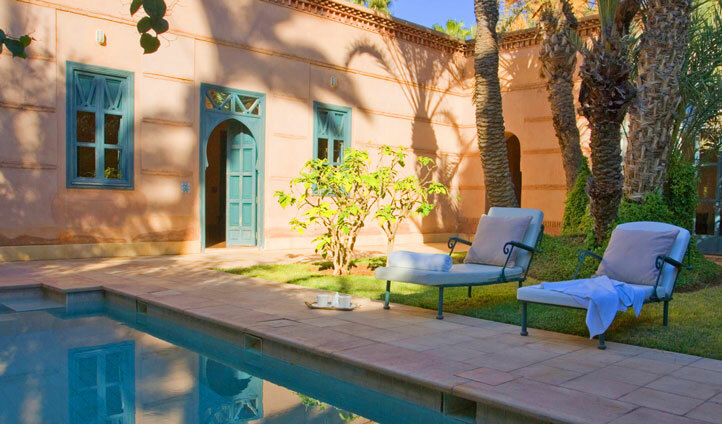 Les Deux Tours is set in three hectares of Andalusian gardens, just eight kilometers east of Marrakech in the verdant groves of the city’s Palmeraie area. Choose from classic rooms with patios opening out onto beautiful gardens, more spacious junior suites or, for a truly exceptional stay why not book into a premium suite? Bright and airy, these expansive guest rooms are composed of a living room, bedroom and vast bathroom, all designed to ensure ultimate indulgence throughout your stay. Alternatively, Les Deux Tours offers ultra-luxe private residences modelled on a traditional Moroccan riad. These sumptuous living quarters each have their very own swimming pool or jacuzzi, with every aspect dedicated to your wellbeing; perfect for an intimate getaway or family vacation. A boutique hotel which channels authentic chic perfectly, Les Deux Tours provides the height of luxury while giving you a taste of the real Morocco. This is encapsulated in the state of the art spa with its traditional hammam, a hot bath, two steam rooms and plenty of professionals on hand to cater to your every whim. We also love the hotel’s restaurants; sample seasonal Moroccan dishes while relaxing on the poolside terrace, or enjoy a more elegant affair under the grand dome of the Salammbo restaurant. And if you can’t get enough of the Moroccan cuisine, book yourself into a cooking class so you can recreate the taste of North Africa upon your return home.